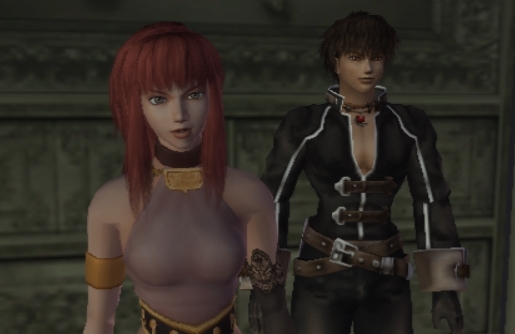 Warning: this article contains spoilers for Shadow Hearts, Shadow Hearts II: Covenant, and Koudelka. At the beginning of Shadow Hearts, the main character, Yuri Hyuga, gets his arm chopped clean off. However, with a smirk and a shrug, Yuri reattaches it with ease. It is a feat he never really repeats for the rest of the series, but you knew he wasn’t someone you wanted to mess with. In response to the amputation, Yuri nearly obliterates the main villain’s face with a single punch. And this is just the opening scene. I bring up the opening scene for this Building Character segment because it perfectly encapsulates who Yuri is as a character. He is bold. He takes action first and thinks about the consequences later. Even when he acts like he doesn’t care, Yuri is usually saving people’s lives. Though he seems simple, Yuri Hyuga is one of the most complex RPG protagonists in gaming. Better yet, he comes across as the most human. Despite his crass humor, Yuri actually has a rather tragic backstory. Born to a Japanese soldier and a woman of supposed Russian descent, Yuri had a healthy childhood. However, when his father went to defeat an evil sorcerer name Dehaui, his mother was killed right in front of him by monsters sent by the sorcerer. His dad too lost his life, leaving the boy an orphan. Yuri then spent years wandering and defeating monsters, using his own Harmonixer ability to transform into various monsters as well. He was led on by a voice inside of his head. Not only that, but a huge part of the first Shadow Hearts was accumulating hatred, or Malice, from his defeated foes. As Yuri killed more enemies, the Malice grew until he either needed to perform a ceremonial battle to calm the evil spirits or be killed. Despite all of that, it’s surprising Yuri can wear a smile and bust out an inappropriate joke or two. He’s stubborn and not the brightest JRPG protagonist. He is disrespectful to his elders and just a little bit perverted. How does he keep himself going? Part of his strength can be attributed to Alice Elliot, a daughter of a priest. Throughout the game, the two act as opposites, Yuri being vulgar and brash while Alice is caring and polite. If the voice in Yuri’s head had not told him to rescue her from the train incident at the beginning of the game, the two may not have blossomed into a couple. Opposites definitely attracted in this situation. Without Alice, Yuri would be overwhelmed by Malice. Near the end of the first game, Alice makes a deal to take on Yuri’s burden. It’s because of Alice that Yuri no longer has to deal with the rage of his defeated enemies, and he successfully overcomes the weaknesses plaguing his mind. However, taking on Yuri’s Malice debt is too great for Alice. If you trudge through the rest of Shadow Hearts and ignore a series of side quests to get Yuri’s ultimate Harmonixer monster fusion, Alice dies in her sleep during the ending cutscene. However, if you do finish this quest, she lives. The endings are only slightly altered, either Alice opens her eyes while resting against Yuri or keeps them closed, but the implications are very major. Here is where you expect things to come to a close with Yuri: he saves the world, learns to better accept himself and his weaknesses, and most likely goes on to live with the love of his life for the rest of their days. 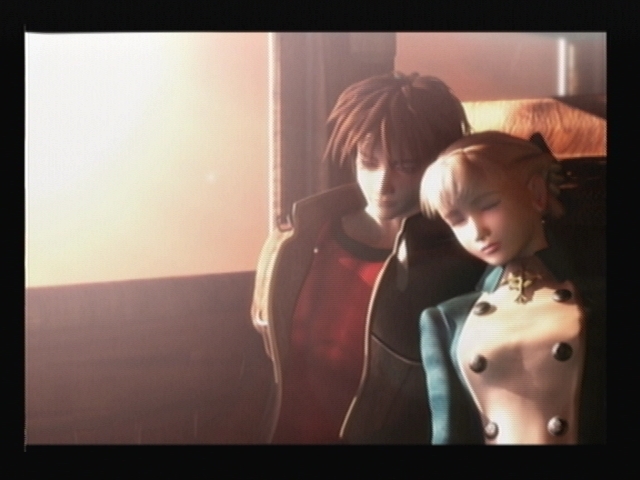 However, Shadow Hearts II does something unexpected: the bad ending from the first game is canon. Meaning, Alice dies on the train at the end of the game, leaving Yuri behind. Choosing this fate for Alice was an interesting choice for the developers because it goes into an area RPGs don’t often venture into: bereavement. Even though a year and a half passes since her death, Yuri remains near her grave. He lives with her uncle, a puppeteer named Gepetto. Yuri still acts like his goofy self from time to time, but this evidence suggests he literally can’t move on. He is still wracked with grief, possibly depression. In Alice’s place for Shadow Hearts II as the main female protagonist is a German soldier named Karin Koenig. Originally sent to kill Yuri, Karin instead joins him on his quest to overcome a deadly curse placed upon him and stop the evil Rasputin from flooding the world with Malice. As the game progresses, you can tell Karin falls for Yuri romantically, but the game changes players’ expectations once gain: Yuri shows no interest in falling in love with someone new. Alice was his one true love, and the fact that he never moves on is heart-breaking. However, Karin’s fate of becoming Yuri’s mother would have made their relationship even more complicated if anything happened between them. And let’s not forget his attempt to bring Alice back. 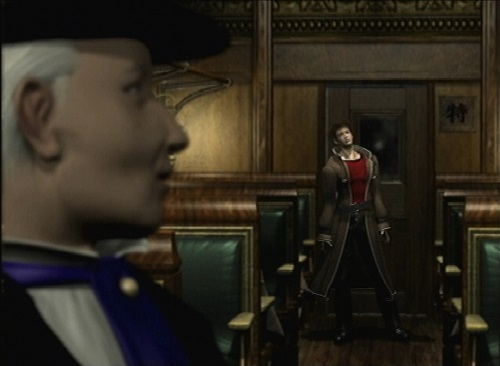 Throughout the entirety of the Shadow Hearts series, even going back to the PlayStation One game Koudelka, a book known as the Émigré Manuscript has been a major focus. The ancient tome allows for the dead to be resurrected, but a strict ceremony must be performed. Most of the ceremonies performed throughout the series led to failure. Sadly, Alice’s revival was one of them. You can feel Yuri’s heart break all over again. Seeing Alice’s soul appear and then leave just as quickly allowed for Yuri to finally let out his pent up feelings. It’s the first time we see Yuri allow himself to cry at all. Yuri is a character overwhelmed by grief but hides it so far beneath the surface you would never guess anything was wrong. Depression is like that: the strongest people are sometimes the ones most hurting. I’m still torn by the endings of Shadow Hearts II. Was it better for Yuri, in the game’s bad ending, forget his memories but still live or should he have died but be reunited with Alice in the good ending? Either way, Yuri Hyuga is such a compelling character and deserves to be recognized.